My family's feelings toward our trip to Malta are best summed up in a recent conversation we had with the boys about whether or not we should get a turtle. This comes up frequently in our house... Big Arrow is allergic to dogs and cats so they're angling for alternative pet options. In an effort to steer clear of the inevitable, "So can we have one?" question, I raised my own question. "If we got a turtle, what would you name it?" There was some chatter, some silliness of wildly inappropriate names (relating to private parts and bathroom talk). And then one of the boys said, "We should name it Malta. Then we can think about that trip all the time." And we all agreed that was a perfect name. And it almost makes me want to seriously consider getting them a turtle just so we could have a pet named Malta. That's when you know a trip has reached legendary status. We tried to balance our days with outings that took 2-4 hours, and then relax by the pool or on the beach for the rest of the day. 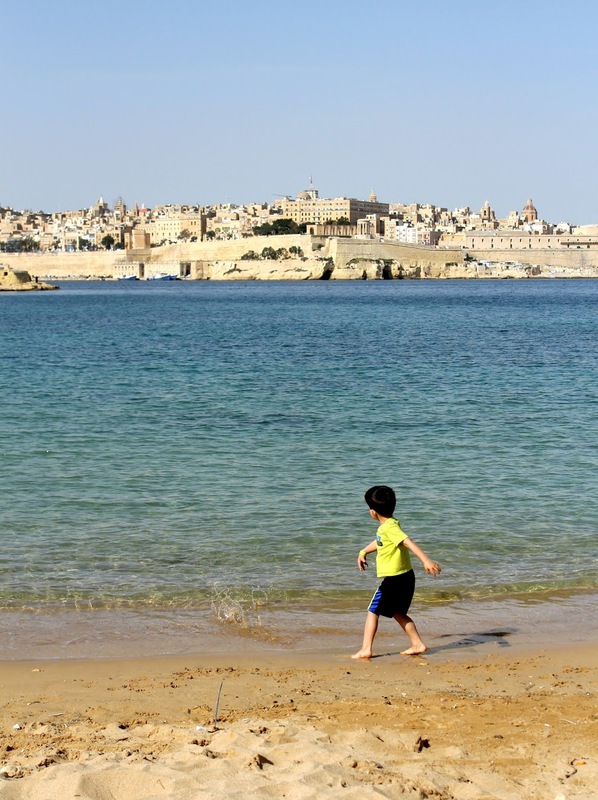 We also did a spectacular day trip to Gozo, an island off of Malta. 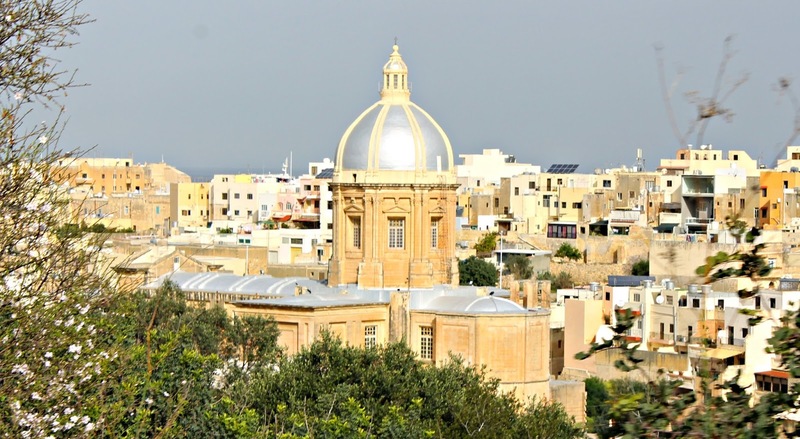 I'll devote an entire post to Gozo in the next couple of weeks so stay tuned. 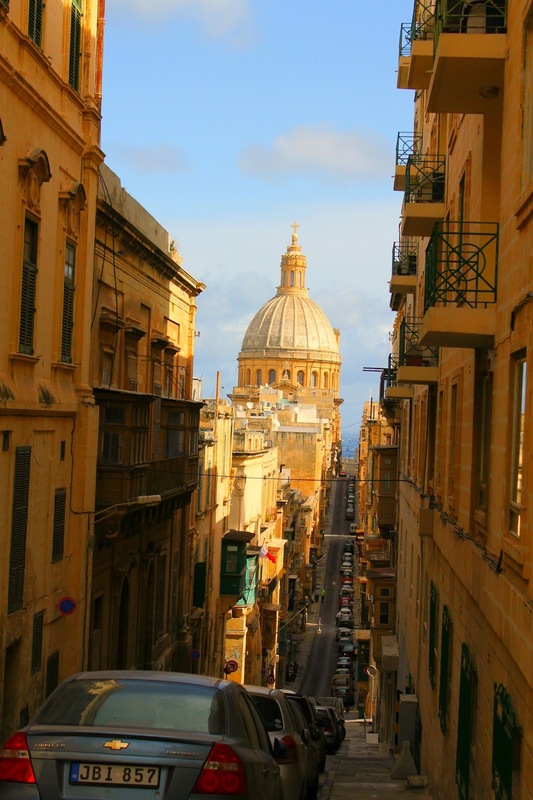 an iPad that was pre-programmed with a historical tour of the Three Cities in Malta. The scenery was stunning, the commentary was really helpful for folks who don't know anything about Malta's history (like us), and the ride was a total thrill, especially for the kids. If your kids are still a bit too young for tour guides, this was an ideal way to learn all about what we were seeing, but in a way that was just right for our children. Truthfully, most of the recorded commentary on the iPad was over their heads, but they didn't mind at all because they were completely distracted by the excitement of the golf cart. Plus, we could stop whenever we wanted (like at a beach, a park, a clifftop overlook, etc.) to let them run around and take a break. We saw some amazing areas of the country that we would have never thought to visit on our own. I can't say enough about it. At only 75 euros for all four of us for 2.5 hours, it was an exceptionally good value. 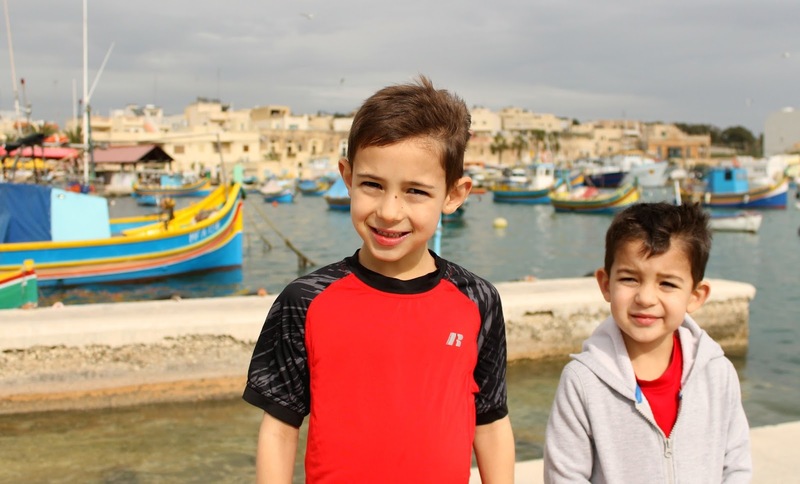 In the era of modern supermarkets and fast food, you must bring your kids to the Sunday market in Marsaxlokk at the southern tip of Malta. 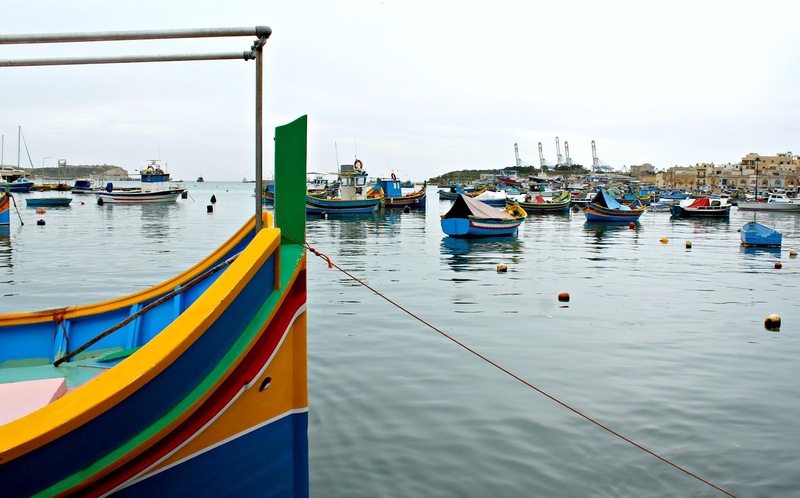 Here, the seafood is brought directly from the brightly colored wooden ships to the market vendors and the restaurants and cafes that line the main street along the marina. It's hot, stinky and crowded, but its a scene that will blow you away in appreciation that places like this still exist. Time has stood still in this place in the best possible way. Arrive mid morning and stroll the market, then grab the first open table you see for lunch (it will be absolutely packed by 1 p.m. at all the waterside restaurants). Enjoy a leisurely lunch and then stroll the market again. By mid afternoon most of the delightful boats will be tied back up and you can get incredible photos of the bay. I've never met a botanical garden I didn't like, but I'm not sure I would have carved out time for this one in Malta if it hadn't been directly across the street from our hotel. But go figure, our kids were up early our first morning and it seemed like a great place to burn off some energy and get some fresh air. The gardens themselves are quite pleasant and well maintained. There's even a small aviary with fancy birds. Challenge your kids to count up how many cats they see wandering about. I think we spotted at least a dozen. 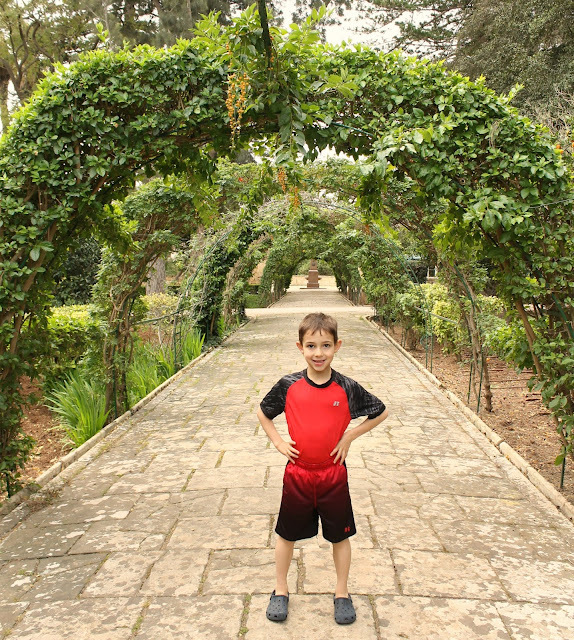 From there, we wandered through the Presidential Palace (you'll be stunned by how little security there seems to be). Just past the Palace is a coffee shop with incredible playgrounds and play spaces, even a small petting zoo. Just don't come here first, or you'll never drag the kids away. As Malta's largest city, Valletta truly deserves a full day. But we passed through en route from changing from one hotel to another so we only had a few hours. We mostly just enjoyed wandering the streets, especially the pedestrian only Commonwealth Walkway. 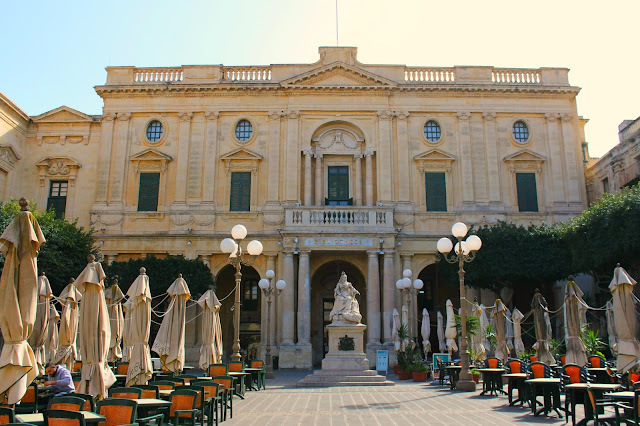 We did make a stop to watch a 5D movie about Malta's history at Malta 5D (near St. John's Cathedral). Worth doing if you want a nice, kid-friendly introduction to Malta's significance in the history books (and it IS very significant, despite being a somewhat lesser known destination). I wish we had made time to step into St. John's Cathedral. I've never seen such a large structure tucked away amid normal buildings quite like this anywhere else in Europe. It was spectacular just admiring it from the very hilly streets around it. This was a spur of the moment half-day adventure for us, we were actually en route to another destination and realized the drive was going to take longer than we anticipated so we stopped here instead. 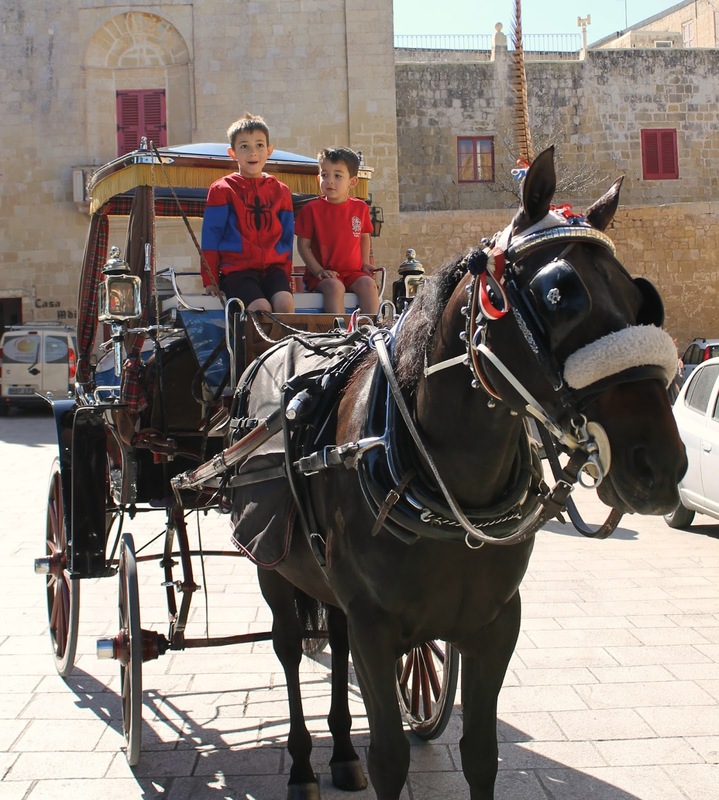 With absolutely no pre-planning about one of Malta's most ancient villages, we happily accepted an offer from one of the horse carriage drivers at the ancient entrance gates. We spent the next half hour enjoying the ride and exploring the most narrow alleys, beautiful churches, incredible views of the Malta countryside, etc. Then we had a charming lunch in a little cafe, marveled at the strange foods our experienced expat kids now happily ate (if you had told me 3 years prior we'd be ordering our kids chorizo platters that they would then devour I would have fallen over). And then we stopped at the playground near the city gates and watched our boys enjoy their final European playground. I don't know when we'll take the kids back to Europe. Perhaps they'll be well past playground playing age. 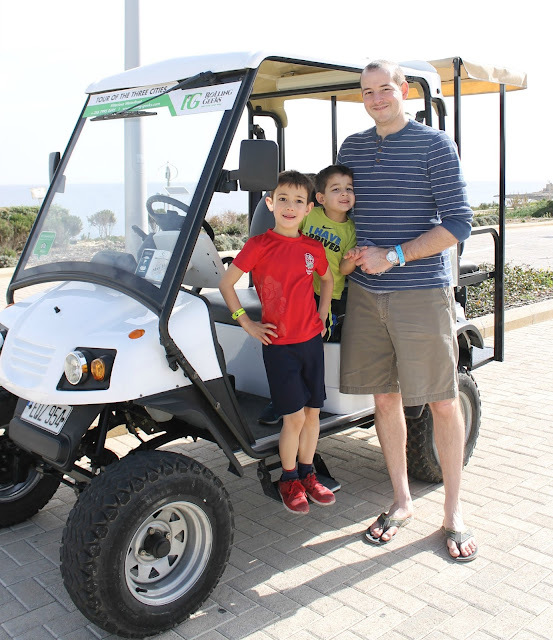 Maybe they'll be driving electric golf carts themselves. And we might even have a turtle named Malta by then. Regardless, Malta was the perfect last hurrah. 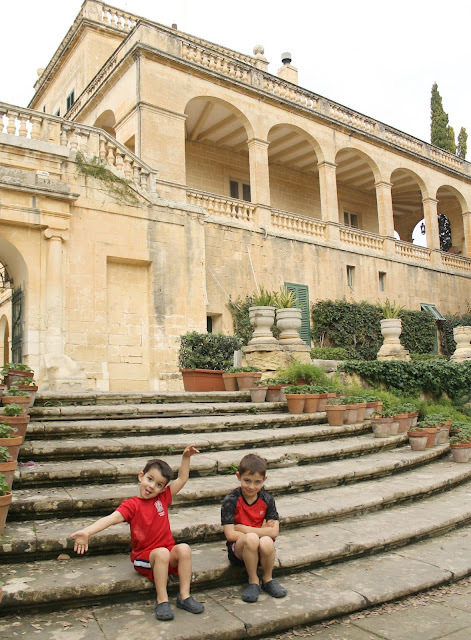 Ciao Bambino has some great articles about Malta here. This was my starting point for planning our trip.